Best-selling novelist Cullen "Cubby" Greenwich is a lucky man and he knows it. He makes a handsome living doing what he enjoys. His wife, Penny, a children's book author and illustrator, is the love of his life. Together they have a brilliant six-year-old, Milo, affectionately dubbed "Spooky," and a non-collie named Lassie, who's all but part of the family. So Cubby knows he shouldn't let one bad review of his otherwise triumphant new book get to him. If you don't take this note to the police and get them involved, I will kill a lovely blond schoolteacher. If you do take this note to the police, I will instead kill an elderly woman active in charity work. You have four hours to decide. The choice is yours. It seems like a sick joke, and Bill's friend on the police force, Lanny Olson, thinks so too. His advice to Bill is to go home and forget about it. Besides, what could they do even if they took the note seriously? No crime has actually been committed. But less than 24 hours later, a young blond schoolteacher is found murdered, and it's Bill's fault: he didn't convince the police to get involved. Now he's got another note, another deadline, another ultimatum...and two new lives hanging in the balance. Suddenly Bill's average, seemingly innocuous life takes on the dimensions and speed of an accelerating nightmare. The notes are coming faster, the deadlines growing tighter, and the killer becoming bolder and crueler with every communication, until Bill is isolated with the terrifying knowledge that he alone has the power of life and death over a psychopath's innocent victims. Until the struggle between good and evil is intensely personal. Until the most chilling words of all are: the choice is yours. 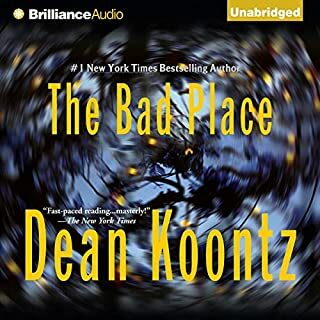 ©2005 Dean Koontz (P)2005 Random House, Inc. Random House Audio, a division of Random House, Inc. I think the last reviewer should have finished this book.I thought of it as I did Strange Highways..One of his best. A moral to be recognized and absorbed. 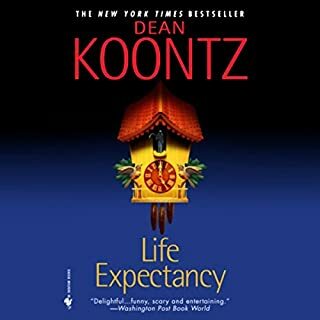 A horror story with something to teach...How detrimental for us to have a conscious when we make decisions.Personally these are my favorite types of books by Dean Koontz. Although he can write the best of typical 'scare the pants off them' horror stories, the ones that have a moral core are the most memorable to me. Not all black and white, but with many shades of gray entwined in this one.Very fast paced..and hard to stop listening to until the end which was delightful. I say ,you must listen to this one...It's worth your time. 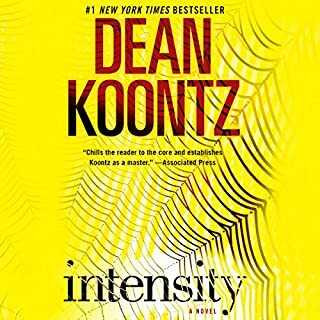 As I have listened to or read all Dean koontz novels..Some were disappointing and left me feeling something was lost, but not many and this one is very good...like his older novels. As a long time fan of Dean Koontz I am constantly amazed at his creativity and capacity for inventing stories and characters. This latest work is vintage Koontz, fast-paced, intricately plotted and suspenseful. This is a great read and listen and the descriptions (including a particularly gruesome "second wound") may make you grimace or curl your hair but always entice you to keep listening. The main character's ongoing love of his comatose girlfriend is refreshing, heartwarming and may make the most cynical among us believe in true love. I am a late big fan of Koontz. I got into him with his Odd Thomas and have listened to most of his books. This one is by FAR the best. I must admit that Koonts is often verbose and bombastic, but not in this one. The turns are one after another after another, and all are believable. GREAT READ....DONT MISS IT!!! 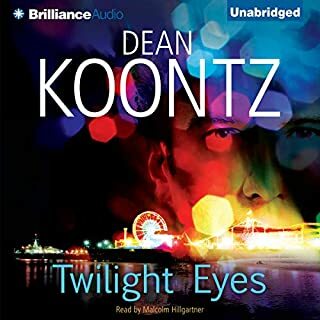 I loved Koontz's book "Odd Thomas", and even though this story is its own separate plot, it had the feel of "Odd Thomas" for me which made me like it. When I first read the description, I was intrigued right off. I couldn't help but put myself in the situation that Billy was in - what would I do? Of course, that's the hook to this story. If you put yourself in Billy's place, I believe you will feel the tension and suspense in the story at a greater level. I could almost feel the "wounds" that he endured (rather well described - almost too well, I should say). Of course the narratation is great, and it makes for an entertaining story. 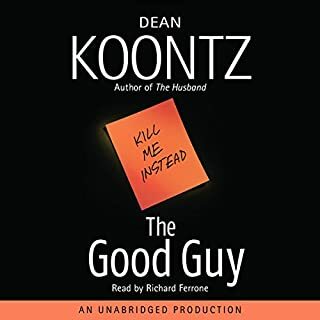 Koontz's characters like Billy Wile and Odd Thomas are some of my favorites, and I wouldn't mind at all if he continued to write such books. I would say give it a chance.. I don't think you'll be disappointed. Dean Koontz and his secret formula work again to captivate the reader and keep you reading to the end. The plot and the continuous suspense are original and the chills are deadly. It’s a story about a struggling author whom is a bartender in a small town and begins to receive notes, where he must decide the death of others. He quickly realizes they are no hoax. The notes begin to increase and he learns they are leading to his entrapment of the killings. Therefore he must outsmart and stop the killers next move. This book is full of suspense, chills, and bravery. I recommend this book, but I notice this author truly uses the same prescription in most books. Thus, if you have read his work it’s as good as his others. In my opinion, Koontz has reached his pinnacle with Velocity. From beginning to end, the story was interesting and fast-paced. The chaacters were a bit far fetched at times but, hey, it's fiction. I enjoyed this book very much and as an avid Koontz junkie, found it to be one of my personal favorites. Money well spent. Although we still have the typical Koontz battle between good and evil, this book does not deal with people with extrordinary powers or the supernatural. It is almost like a good old fashion murder mystery. As usual, his character development is the strength of book, yet the book moves very fast. Of all of his books, except Odd Thomas,this was the hardest to put down. Very enjoyable. 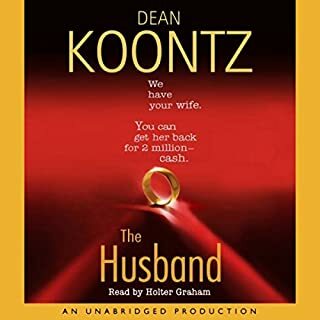 This novel of Koontz is well written, well read and very fast paced. After driving to and from work, I found it hard to stop the listen after I arrived. One of his best! this is -- narrator provides both the literate tone (lots of T.S. Eliot is salted into this book) and the creepiness that makes Koontz so distinctive. I looked forward to every lunchtime installment listen! You know the horror movies where you want to yell at the dumb kids not to go anyplace alone, not to explore, not to do anything dumb? Well that is how I felt about Billy and his friend in the beginning of this book. I wanted to yell at them both for being soooo stupid! At the half-way point I actually considered giving it up, but having an insatiably curious nature I had to find out what happened. I'm glad I did. It was not at ALL like I expected. Why Billy behaves the way he does becomes clear as you understand his past. An understanding of childhood horrors explains why he is the unemotional person that he is. Be forewarned, this is a very cerebral novel in many ways -- with true horrors. NOT for the faint of heart. 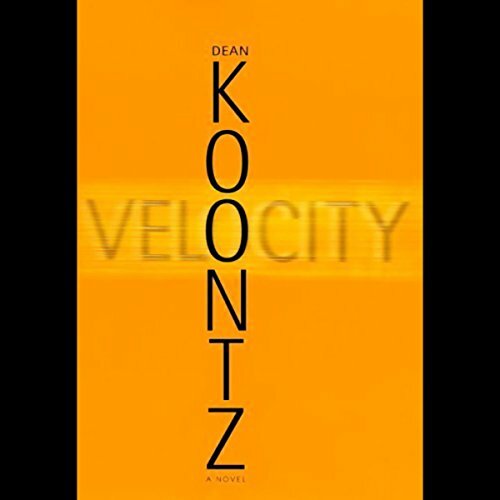 While Velocity was clearly NOT Koontz's best work (and I have read well over 35 books of his) it was an interesting ride.